We have nearly reached the outer limits of the Cosmos, and though this part seems simple, you will still be shaping your blanket, so pay very close attention to the corners. Keep your eye out for that sneaky hidden stitch, sometimes you will need to skip it, and sometimes you will need to work into it. Use lots of stitch markers to help keep track of your stitch count. 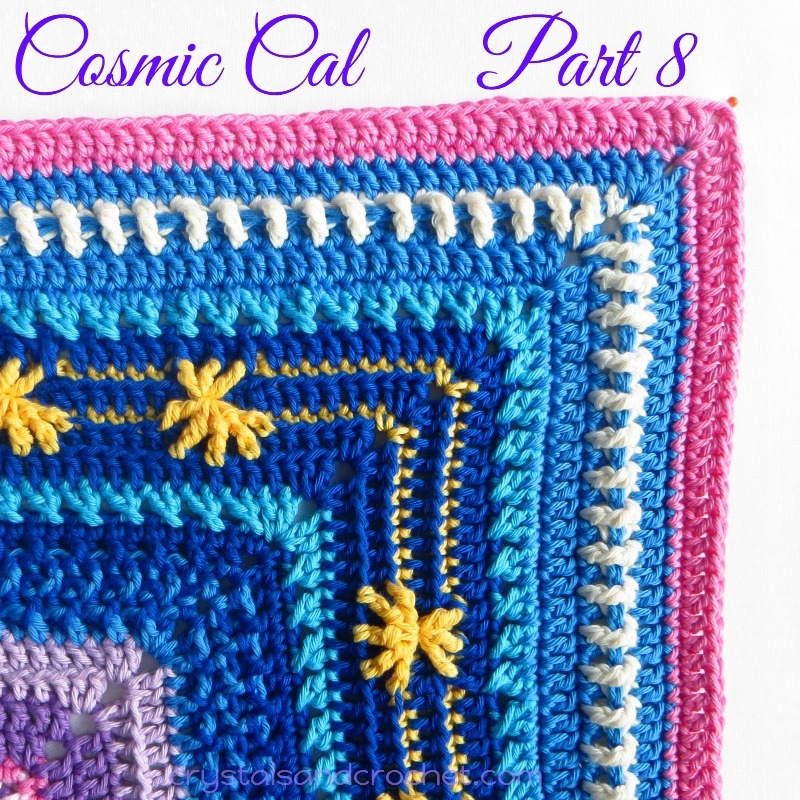 Part 8 of the Cosmic Cal, sponsored by Stylecraft Yarns. Thanks so much for tip on dtr! It works and mine look great!